Rachel’s dialysis career began in 1989, while attending nursing school in Boston, as a patient care tech in an outpatient hemodialysis clinic. 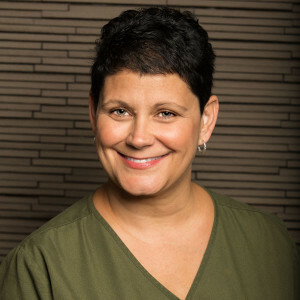 Since becoming an RN in 1994, she has maintained employment in the dialysis field, leading as charge nurse in an outpatient clinic then transitioning to being a traveling nurse in acute hemodialysis clinics across the country; the latter landed her in sunny California, and finally in San Diego. From 2003-2012, Rachel worked privately with a few patients in their homes as their care partner for home hemodialysis. In 2005, she was introduced to the NxStage Cycler, as well as to HDT. Rachel has thus had the unique perspective of using the NxStage Cycler on a daily basis in the home, and can personally relate to the patients and caregivers using this modality. In 2012, Rachel felt lucky to join the HDT team as a home training nurse for home hemodialysis and peritoneal dialysis. She feels HDT is a great place to work, where staff is able to truly perform patient centered care and use creativity in our nursing approach with patients. Why does Rachel have passion with respect to working with home dialysis? Because, she knows she can skillfully teach you about your dialysis options and clearly answer your questions about each modality. And, if you choose home therapy with HDT, she can help keep you stay in the comfort of your own home safely doing your own dialysis.